Author/Illustrator Matthew Holm: Okay ... THESE hackers I can get behind. 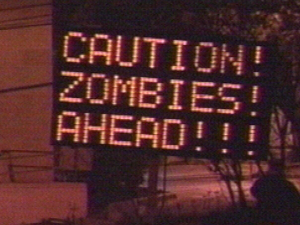 Some pranksters hacked into a TxDOT highway sign in Austin, Tex., to post a warning about zombie attack. How long until the World War Z movie comes out?